Diane Camurat. The American Indian in the Great War, Real and Imagined. Part Two, Chapter Three. Stereotyped images of American Indian soldiers during the Great War are essentially to be found in American newspaper articles. At the same time, the visual representations of Indians as a unit insignia for a corps of American volunteers before 1917, for the 2d Division of the American Expeditionary Forces, as artistic ornamentation in a quarry inhabited by American soldiers, and on American memorials, proved also very interesting. "You Will Meet Enemy More Savage Than We Were." Father Tells Son on the Way to War. The apparent contradiction of American Indians fighting alongside the army they used to fight against was widely used by journalists in search of material for sensational stories. If, by 1917, American Indians were no longer threatening and were thus recognized as human beings, they had been dangerous enemies in the past who were at best considered to be noble warriors, at worst, bloodthirsty savages. For journalists, the Great War presented the interest of displaying American Indians in conditions of war, but on neutral ground and against another enemy, a "savage" one: the Hun. It did not take them long to revive the noble warrior. The interest of all articles written about American Indian soldiers' faits de guerre during the Great War is that most of them were mere rewrites of government releases.3 They mirrored the "official"­or at least authorized­image of the Indian and were part of war propaganda. Propaganda, to be useful, calls for simple images: the simpler the message, the better it is received. In other words, propaganda is based on the use of stereotypes. Inferiorizing the enemy has always been part of propaganda in times of war. World War I was no exception, on the contrary.4 I will thus begin my analysis by the stereotype of the German soldier, as well as by the image of the Indian held by German soldiers. 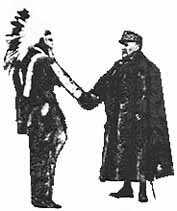 In my research in French newspapers--­Le Miroir, L'Illustration, J'ai vu, Le Monde illustré­--I was only able to find two articles directly relating to the participation of American Indians in the Great War, both published in the Miroir (those referred to when I spoke of American Indian recruiting agents). More than articles, the Miroir published pictures accompanied by extensive captions. Just as Winnetou in the Karl May's novels he read when he was a boy, the young German soldier crawled in the dark among herbs and bushes, regardless­yet conscious­of the enemy, only fifty meters from him. "An American officer, captured by the Germans in the battle of St. Mihiel, was surprised to find himself interrogated not on his division movements or objectives, but on how many Indians there were in the units opposing the Boches in that sector." The 36th Division was composed of the Oklahoma and Texas National Guards.23 According to a journalist, one of the companies of the 36th was made up of Texas and Oklahoma rangers and oil men, who had brought from Camp Bowie, Wyoming, their title of "Millionaire Company." "Collectively, they owned many square miles of the richest oil and mineral lands of Oklahoma, and back home, there were thousands of dollars in royalties piling up everyday for the buying of Liberty Bonds. "24 Oil had first been exploited in Oklahoma in 1896 and, from 1903 to 1912, Osage Indians received $2,734,986 in royalties. It quickly became embarrassing to know that all these riches lay on Indian land. By 1924, when still more oil was discovered on Osage territory, it was considered that the "Indian is not equipped to handle or conserve a considerable sum (...) hence Uncle Sam devised a plan to keep a check on extravagance as far as possible. "25 In 1918, the journalist who had written about the "Millionaire company" had thus unwittingly inaugurated an era where the Osage would be described as rich and consequently incompetent Indians. The subjects evoked in the graffiti and carvings are very diverse, representing the different interests of the artist-soldiers. Yet they do fall into some general categories which may be illustrated by the example of Nanteuil-la-Fosse. First there are all the carvings representing the insignia of the units which stayed in the quarry­Companies F, G, and H of the 103d Infantry Regiment of the 26th "Yankee" Division. The 26th Division was composed of New England National Guards.33 According to Pierre Samain, the insignia of the 26th Division (a big letter Y in a rectangle) was first designed in this quarry. Then there is the group of diverse and personal carvings, such as trademarks coming from some western ranches, naked women, cabalistic signs, etc. Finally comes the group of carvings which evoke, in one way or another, the general idea of the United States. One represents Lincoln, another Wilson, still another the Uncle Sam with his big hat, several flags and eagles, and ... Indian heads. It thus appears that, for these companies where there were probably no Native Americans, at least not from the Plains, the Indian head came to represent the essence of the country they missed so much, in much the same way as America was represented by an Indian woman in the 19th century. Even more interesting for us is the Tours Memorial, commemorating the work of the 650,000 men of the Services of Supply of the American Expeditionary Forces. Described as a "handsome fountain of white stone and bronze with appropriate sculpture" by the brochure of the American Battle Monuments Commission, this monument features a kneeling Indian holding an eagle on his arm.40 It would be interesting to know by which criteria this sculpture was deemed "appropriate." 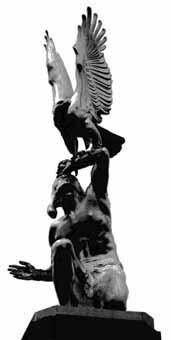 Anyway, eagle and Indian, both incarnating wildness, freedom and physical prowess, thus came to symbolize the participation of the United States in the Great War. Two images of the Indian were prevalent in the Great War. One was directly linked to the American Indian's participation in the war as a soldier and represented him as a brave yet primitive warrior. This image was the continuation of an old stereotype which found but new momentum in the circumstance of the war. 1 . "La Préparation américaine." L'Illustration. February 23, 1918, n°3912, p.173. 3 . Russel L. Barsh. "American Indians in the Great War." Ethnohistory. 38:3 (Summer 1991), p.285. 4 . Marc Ferro. La Grande Guerre, 1914-1918. Paris: Folio/Gallimard, 1990 (1969), pp.215-22. 5 . The Stars and Stripes. A Complete File of the Stars and Stripes, Printed in France from February 8, 1918 to June 13, 1919. Washington, DC: National Tribune Corporation, Title page. 6 . Charles Derennes (text) &Charles Genty (illustrations). J'ai vu. 5:202 to 5:208. May 9, 1919; May 16, 1919; May 23, 1919; May 30, 1919; June 6, 1919; June 13, 1919; June 20, 1919. 7 . J'ai vu. 5:206. June 6, 1919, p.319. 8 . "Avec le peuple boche on se trouve devant une humanité inférieure." Lieutenant-colonel Rousset. La guerre au jour le jour. Vol.6 (Juin 1918-28 juin 1919). Paris: Tallandier, 1920, p.365. 10 . John R. Finger. Cherokee Americans. The Eastern Band of Cherokees in the Twentieth Century. Lincoln &London: University of Nebraska Press, 1991, p.41. 11 . Ernst Jünger. Orages d'Acier. French translation by Henri Plard from German original. Paris: Christian Bourgois/Le Livre de Poche, 1993 (1970), p.5. 12 . Ibid., p.93. This young man had probably read these lines written by Karl May: "Je m'aplatis alors dans l'herbe et, mon couteau entre les dents, je me mis à ramper vers la tente du chef. A chaque pas, maintenant, un nouveau danger me guettait. Mais je n'étais pas seul. De l'autre côté du camp, Winnetou, se glissant dans les hautes herbes, se dirigeait vers le mâme but..." Charles May. Les Pirates du rail. Paris: Flammarion, 1948, p.80.
. 14 . Stars and Stripes, 1:40, November 8, 1918, p.8. 15 . Pierre Berton. Vimy. Canada: Penguin Books, 1986, p.241. 16 . Washington Sunday Star. August 25, 1918, quoted by Russel Barsh. "American Indians in the Great War." Ethnohistory. 38:3 (Summer 1991), p.289. 17 . Stars and Stripes, 1:40, November 8, 1918, p.8. 18 . 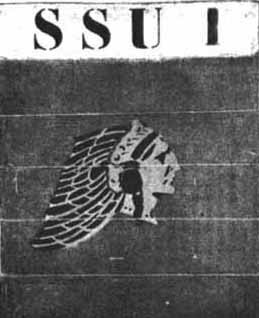 Stars and Stripes, 1:4, March 1, 1918, p.2. 19 . Russel Barsh, op. cit., p.292. 20 . Baltimore Star, March 4, 1918 and Newark Star Eagle, July 26, 1918. Ibid., pp.286, 289. Far as the solar walk or milky way;"
Quoted by Robert F. Berkhofer, Jr. "White Conceptions of Indians." In "History of Indian-White Relations." Ed. Wilcomb E. Washburn. Vol. 4. of Handbook of North American Indians. Ed. William C. Sturtevant. Washington, D.C.: Smithsonian Institution, 1988, p.528. General Philip H. Sheridan had originally said to Tosawi, a Comanche Chief: "the only good Indians I ever saw were dead." These words became the American aphorism "the only good Indian is a dead Indian." Richard Drinnon. Facing West: The Metaphysics of Indian-Hating and Empire-Building. New York: Schocken Books, 1990 (1980), p.539. 21 . Stars and Stripes, 1:33, September 20, 1918, p.6. 22 . Stars and Stripes, 2:17, May 30, 1919, p.1, 3. 23 . "Les Américains au combat." In 1917-1987: 70e Anniversaire de l'entrée en guerre des Etats-Unis d'Amérique. Secrétariat d'Etat aux Anciens Combattants, 1987. 24 . Stars and Stripes, 1:40, November 8, 1918, p.8. 25 . Isaac F. Marcosson. The Black Golconda: The Romance of Petroleum. New York &London: Harper &Brothers, 1924, pp. 198-99, 203. 26 . J. Paulding Brown. "The First Months of the American Ambulance, Sept. 1914 to May 1915." In The History of the American Field Service, 1922-1955. George Rock. New York: Platen Press, 1956, pp.9-14. 27 . 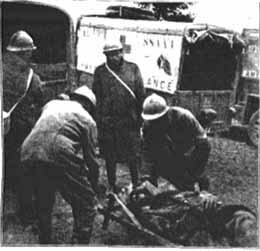 History of the American Field Service in France, "Friends of France" 1914-1917 Told by Its Members. Vol.1. Boston &New York: Houghton Mifflin, 1920, p.81. 28 . William York Stevenson. At the Front in a Flivver. Boston: Houghton Mifflin, 1917, p.145. Thank you to Bill Foley for having given me this reference. 29 . Jody Brinton. "The History of the American Field Service." Vol.VIII. Typescript, 1988, page unknown, A.F.S. Archives, New York, p.45. 30 . "Le farouche Sioux, à l'air menaçant, attira tous les regards sur le fuselage où il était peint." Lieutenant-colonel Georges Thenault. L'Escadrille Lafayette, Avril 1916-Janvier 1918. Paris: Hachette, 1939, p.75. 31 . The Stars and Stripes, January 17, 1919. 32 . All information on the Nanteuil-la-Fosse quarry comes from a visit of this quarry (March 8, 1994), brilliantly guided by Pierre Samain, a specialist of the Chemin-des-Dames. 33 . "Les Américains au combat." In 1917-1987: 70e Anniversaire de l'entrée en guerre des Etats-Unis d'Amérique. Secrétariat d'Etat aux Anciens Combattants, 1987. 34 . Hervé Vatel. "Le graffiti des tranchées. Une approche plastique." Maîtrise d'Arts plastiques, UFR d'Arts plastiques et Sciences de l'Art, Université de Paris I, October 1990. 35 . Benoît Decock, a student at the University of Amiens working on a Master's Thesis on the graffiti in the trenches, gave me this information. 36 . American Memorials and Overseas Military Cemeteries. (Brochure). Washington, D.C.: The American Battle Monuments Commission, 1989. 38 . 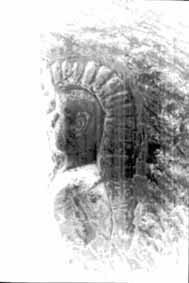 Annette Becker, a specialist of the Great War and particularly of its memorials, showed a slide of this Indian head in a paper she gave in Paris­"La foi des soldats pendant la Première Guerre mondiale." Société d'Etudes Nord-Américaines (S.E.N.A. ), November 25, 1994. She later gave me a written confirmation of this information. 39 . American Memorials and Overseas Military Cemeteries. (Brochure). Washington, D.C.: The American Battle Monuments Commission, 1989. 41 . Carl G. Jung. Civilization in Transition. English translation by R.F.C. Hull from German original. In The Collected Works of C.G. Jung. Eds. Herbert Read, Michael Fordham, &Gerhard Adler. Vol. X. London: Routledge &Kegan Paul, 1964, p.47.